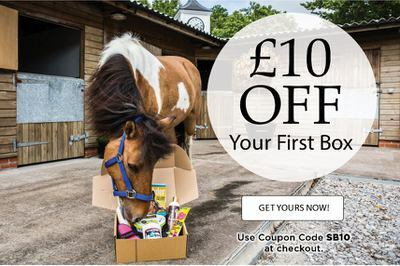 Enter your email address below to receive a notification when The Stable Box starts accepting new sign-ups! Enter your email address below to receive a notification when The Stable Box is accepting new sign-ups again. The UK's largest Equestrian horse equine subscription box. Each month, we feature well known prestige brands to small independent brands. 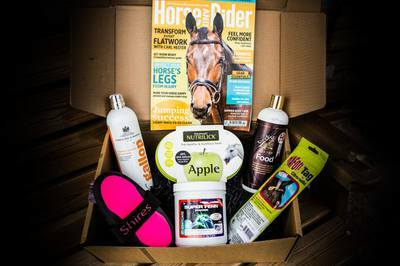 You will receive at least 5 full sized products along with Horse and Rider magazine. We also have a one time purchase gift box available! Prepaid for 6 months, only received 2 boxes, not 6. Tried contacting company, and never heard back. I love this box, so exciting to receive and some fantastic items! Love this box! Haven’t been disappointed, always great usable products from well known brands.